The number of deaths from lightning strikes continues to rise in August after an especially deadly July. The total number of fatalities in 2016 is now up to 27. That currently ties last year's number and surpasses both 2013 and 2014. While most lightning strike deaths in the United States occur in June, July and August, last month and the first half of the current month have been especially deadly. 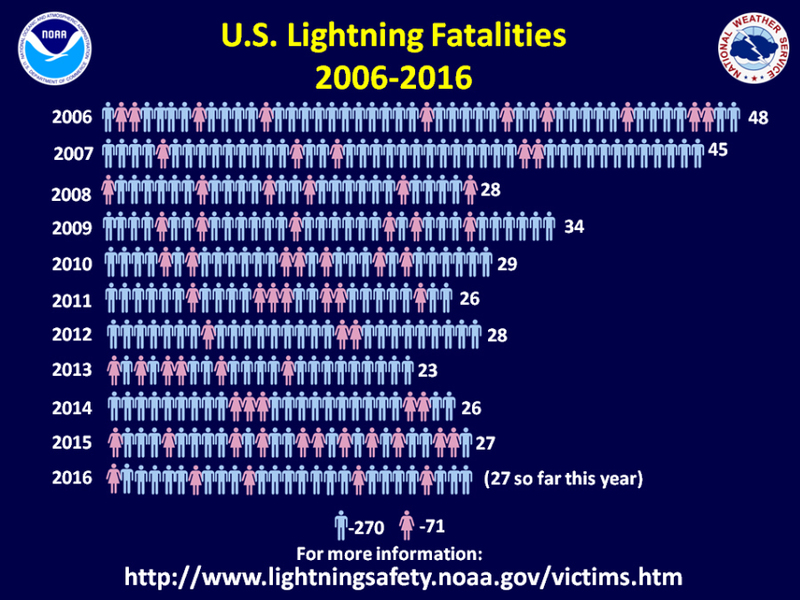 July reported 12 lightning deaths and August already has six, and the ten year average for both of those months are ten and five respectively. Since we still have half of August to go, and September usually claims an average of three victims, there's a good chance this year's tally will surpass every year of the past decade except for 2006 and 2007.